Cannabis promotional products to set your brand on fire. We provide sourcing to Canada’s largest line of cannabis-focused promotional products and swag. Swag in Canada is highly regulated and many operations will not be able to use this type of marketing at the current time. If you are not in a regulated region, state or country and are looking for promotional solutions, we can help. Hundreds of products to keep your clients happy and rewarded. Anybody can print you off commercial swag to hand out to your clients. To really get a return on your investment in promotional products, you need original, edgy marketing ideas to blend with your imprinted products. We create campaigns that blend advertising and branding in promotional products that your customers want to keep and show off. If it is a t-shirt or ball cap, then you better make sure it will get worn and shown off. Let us design branding material to make a statement and get seen. 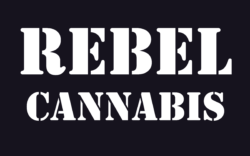 Get the original marijuana branding company working for you! Marijuana marketing items in today’s competitive landscape, need to stand out. Our eclectic line of products can put any brand on the map. First, we discover what types of promotions your company can conduct and we tailor a campaign to match those criteria. We strive for unique and effective ad campaigns. When considering products for your marketing campaign, care must be taken to stay compliant with all local, regional and countrywide regulations. Let’s put together a strategy to build brand awareness and drive sales through referrals. Fast service. Quality ideas and execution. Great rates and all for an affordable price. Call today for a free quote. Looking for the latest dispensary advertising swag for your customers? Want them to remember their favourite dispensary? Our products make it happen. Our full line of marijuana promotional products is chosen to make any cannabis enthusiast happy. Hemp totes, ball caps, t-shirts, lighters, rolling papers, rolling boards and so much more. Hundreds of original items to keep your clients loyal and sharing their favourite companies. Call us today and let’s discuss your advertising needs. We work to fit your company needs. Our selection is expanding with more and more companies offering smaller runs of advertising items all the time. Do you have promotional products to add to our offering? Get in touch today. We are always looking for great products to promote our clients. The more original and innovative the better. Let’s talk. Cannabis culture rich promotional products can increase customer loyalty and build brand exposure. Our team is here to take care of all your logo and imprinted promotional item needs related to the legal medicinal and recreational marijuana industry. Our team will assist with you with the design, development, and creation of an original campaign that will generate hype about your dispensary, clinic, or marijuana-related business to generate sales and growth brand share. Let us put your logo or message on thousands of items to help you build your brand. Whether you are meeting with cannabis patients or outfitting sales and customer service staff for trade show events or daily dispensary business, it’s important to show your brand with distinction. Be original. Be smart. Talk to a team member today! Promote your cannabis dispensary or retail location by offering personalized branded promotional products to build customer loyalty. Take your brand out of the shadows. Get noticed. 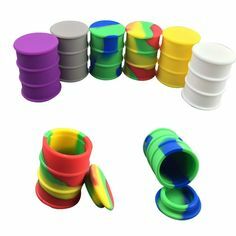 We find the best selling cannabis or ganja advertising handouts for cannabis dispensaries are joint and bong lighters, originally printed T-shirts, embroidered ball caps, hemp bags, and totes. Logo water bottles and custom imprinted backpacks are also popular customer giveaways at medical marijuana dispensaries. Talk to a sales team member today to help create an original advertising campaign for your company. Learn which promotional products with custom logos will perform for your cultivation business, concentration company, medical marijuana medical clinic, dispensary or cannabis retail franchise. If you need immediate service for your marijuana dispensary advertising and promotional items, expedited service can be arranged. Call or text today to discuss your promotional needs at 226-289-9333. Join our promotion products mailing list. We will keep you up to date on a monthly basis with new products and items added. We search the globe. Find the coolest imprint-able products and gift basket accessories, and bring them to you. Each month we look at new trends and ideas from the industry. We pack it all into our monthly marketing newsletter and send it out to for you to stay current. The newsletter is great for dispensaries, cultivators, concentration companies, retail franchises and service companies in the cannabis space. We show you how to achieve results. Start today! To start the conversation call us at 226-289-9333. We are here 6 days a week and love to chat cannabis. Cannabis promotional products and swag for your marijuana company where legal. Weed advertising items supplies for dispensaries, concentrate companies, retailers, franchises and any other cannabis facilities able to use promotional marketing within their jurisdiction.